Aki Rissanen delivers an all-encompassing, powerful new album with Another North, an album that explores new heights of rhythmic intensity, pulsating grooves and hypnotic loops. Aki Rissanen has reset his compass. This is their Another North. 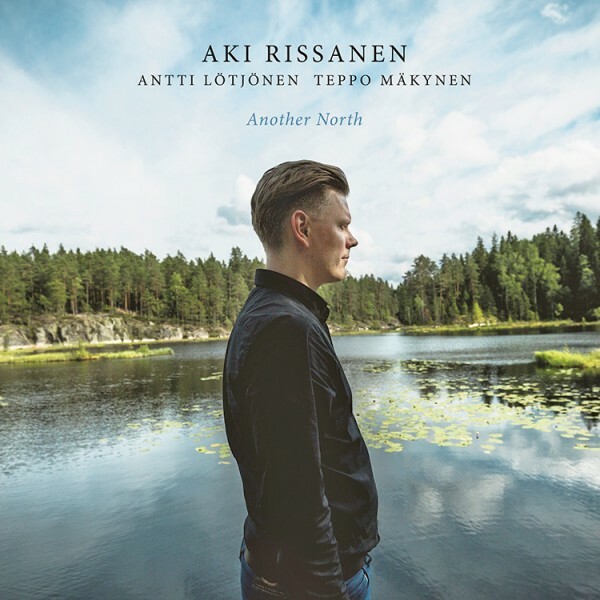 Another North is the flamboyant and rhythmically intense new album from Finnish pianist Aki Rissanen. Demonstrating massive progression the music shines very brightly and not only confirms the trio’s promise and right to command international attention but does so with style, grace and elegance. Following the acclaimed release in 2016 of ‘Amorandom’ which collected many 5 star accolades and the prestigious and sought after Emma Prize, The Finnish Grammy, for the best jazz album of the year the group, featuring an all star Finnish line-up, has now distinguished itself as a trio with real vision and a drive to explore new directions. This is Another North. The trio set out to avoid complacency and not just produce another high quality album. They early on expressed the intention of following their own route with a project that marks them firmly down as a trio rooted in the wider European tradition. Aki Rissanen and his band of roving Finns have avoided the clichés of the ‘Nordic’ piano trio. Instead of focusing on creating space and minimalist touch the trio relish a new world of rhythmic intensity, pulsating grooves, hypnotic loops brought together in an intuitive desire to explore. This record commands your attention. As Aki Rissanen explains: “With Amorandom, we briefly explored a more energetic world in our approach to our music with compositions such as ‘Bird Vision’. As we toured and developed that music over the last 18 months, our desire to delve deeper in this direction became stronger. As a trio we wanted to collectively discover a greater intensity and energy, to stand out as a trio from the North. This music is the sum of that exploration”. Opening with the vibrant ‘Blind Desert’, their direction is immediately clear and captivating, and there’s no letting up. With its brave arrangement of Gyorgy Ligeti’s piano etude, the trio reimagines the classical masterpiece – which was, of course influenced by Bill Evans’ music – fusing it seamlessly with jazz rhythm and sensibility; a happy happenstance as Evans is a massive inspiration and classical repertoire in general a big stylistic influence. This is a trio with something to say and these three are intent on saying it loud and with some attitude. As one of the leading ensembles on the vibrant Finnish scene the Aki Rissanen Trio has reset its compass and is heading into new territories that will inevitably lead to greater international attention. It is reconceptualising what is possibly for the piano trio, what is possible for jazz from the Nordic countries, what is possible for European music. This is the Aki Rissanen Trio. This is their Another North.